High Clearance. High Performance. High Value. If you’re farming sensitive fruits and vegetables, you want a powerful, workhorse tractor that’s environmentally smart and works efficiently in taller crops and deeper beds. We’re proud to introduce the Massey Ferguson 4610M HC tractor, for professional producers who value affordability and uptime. EASE OF USE: A tractor that’s comfortable and easy to operate helps you be more productive. The 4610M HC tractor understands that. From the operator station to the seat to the controls, you’ll get more work done while staying comfortable, all day long. SEAT: A well-positioned, adjustable seat provides maximum comfort and visibility to front and rear implements. LESS DOWNTIME: With no regeneration required and no expensive DPF filters to replace, the only stop is for fuel, which maximizes uptime. CONTROLS: Simple, intuitive controls provide for an easy operational learning curve. 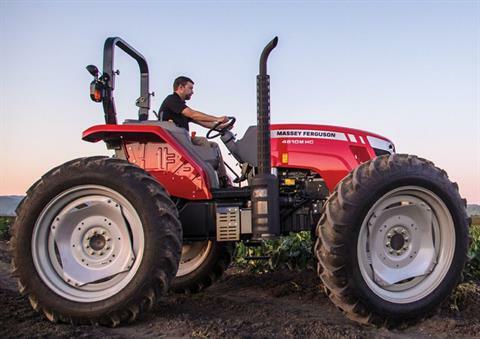 PERFORMANCE: At Massey Ferguson, we know you need a rugged, efficient and dependable tractor. That’s why we’ve designed our 4610M HC tractor to handle all kinds of crops, like berries, broccoli, potatoes, vegetables, tobacco and sugar cane. ENGINE: The 4610M HC comes with a powerful, easy to maintain, turbo-charged, 3-cylinder AGCO PowerTM engine, with no DPF required. STURDY: An excellent power-to-weight ratio provides the pulling power necessary for large trailers, implements and heavy tanks. VERSATILITY: Your operation needs a tractor that can handle any job, from tall crops to deep beds. With multiple tire sizes and track widths, the 4610M HC tractor can do just that, and more. 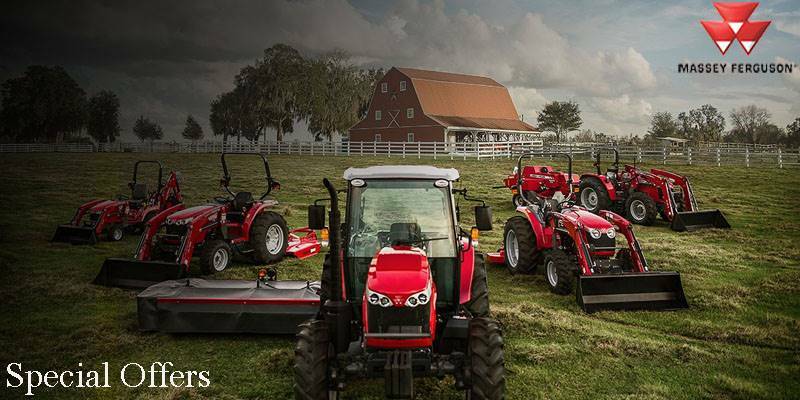 With the versatility and durability you’ve come to expect from Massey Ferguson. HIGH-CLEARANCE TIRES: Two tire sizes provide heights of 27.7 in. or 31.1 in., from the drawbar to the ground, to minimize crop damage. TRACK WIDTH: Flexible track widths, available in 60 in. and 80 in. figurations. WHEELBASE: A longer wheelbase and adjustable track settings provide the versatility and durability to handle tough applications and terrain.